During the post-operative phase in any surgical procedures, not just rhinoplasty, will really need some patience. For surgical rhinoplasty, it will usually take at least 2 weeks for the nose to heal or even longer. Since in rhinoplasty, there are alterations and changes done in the connective tissues (bones and cartilages) in the nose and there are times that nose implants are even placed, it will normally take time for the body to repair and heal itself. 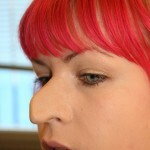 Recovery time after rhinoplasty will not be similar to all individuals. Some patients may recover quicker than others. And pain post rhinoplasty will also not be the same to all individuals, since pain is subjective and each person has his or her own pain threshold and pain tolerance. There will always be post-operative care procedures given or instructed by the doctor after the rhinoplasty. If the doctor will not be able to give the post-operative instructions, it will be the nurse or any other medical professionals included in the medical team during your surgery. How patients follow and do post-operative care will really affect how the nose will heal and how fast will the nose heal. Doctors and other medical professionals will always stress out the importance of conscientiously following post-operative care and other post-operative instructions to prevent complications and other discomforts from happening and from decreasing the risk for the patient to develop infections. Since it will be painful and uncomfortable especially during the first few days after rhinoplasty, having someone, a family member or a close friend with the patient after the surgery will be very beneficial. 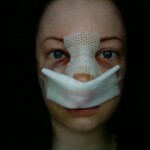 During the first few days after the rhinoplasty surgery, there will be a lot of things that the patient can’t do. Having someone around can help the patient in getting some activities of daily living done, such as preparing food, taking a shower, lifting heavy objects, or even picking thing up from the floor. Drink at least 10 glasses of water each day. Always stay hydrated. Dehydration will only prolong healing time. 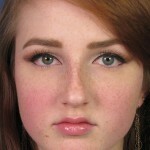 Apply cold compress around your nose after rhinoplasty to help in reducing swelling. Avoid doing strenuous activities, such as lifting heavy objects. Strenuous activities can cause bleeding and fatigue.